A sample is a small part of the whole, selected because it’s a premier example of its class. 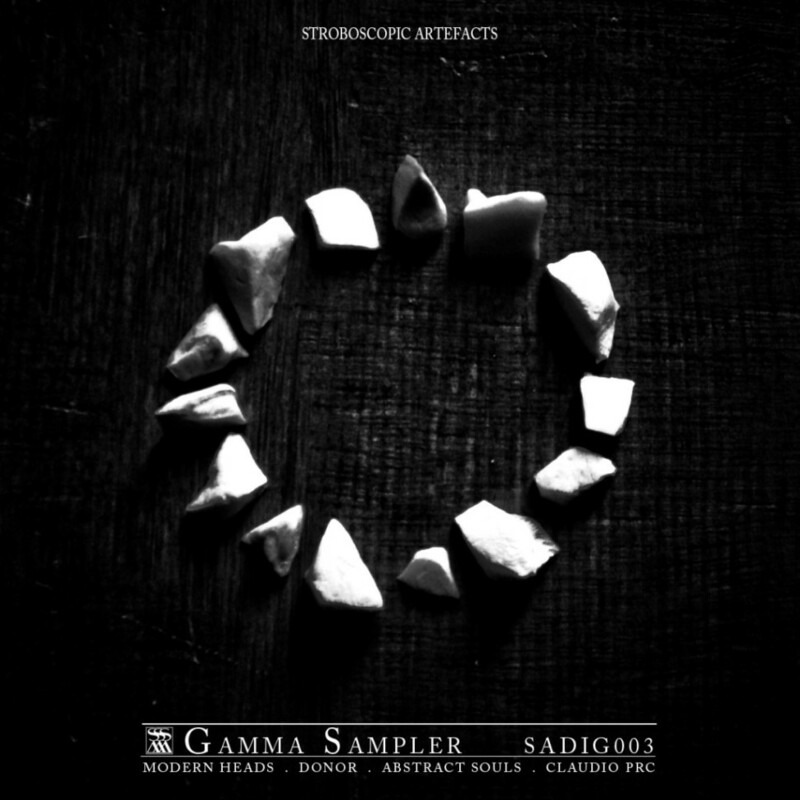 The Gamma Sampler sees Stroboscopic Artefacts collect together four cuts that take you from the dance floor right into the ether. It starts resolutely dance floor as Modern Heads open with the brilliantly constructed “1969”. The track forms a perfect arc. It begins with pared-down bass, opens out as melody surfaces from deep below, stretches upwards as synth patterns bubble into being, before the other side of the curve elegantly returns to the origin. “Fade” comes from New York’s Donor. Full of offkilter, swung bass lines, its distinctly strange sound seems to harbour more than a drop of contempt. Abstract Souls unleash “Abstract Subway” full of swishing, swooping patterns. As if sampling the act of perception itself, it‘s blurred, charcoaled black but flecked with colour. The sampler is closed by Claudio PRC’s “Aphelion” which seems to transpose the sound of a planet when its orbit has curled far from the sun. Perc Amazing stuff from one of the best new labels of recent years. My favourite track is 'Fade' (I has to support the Perc Trax artists!) but it is all good.